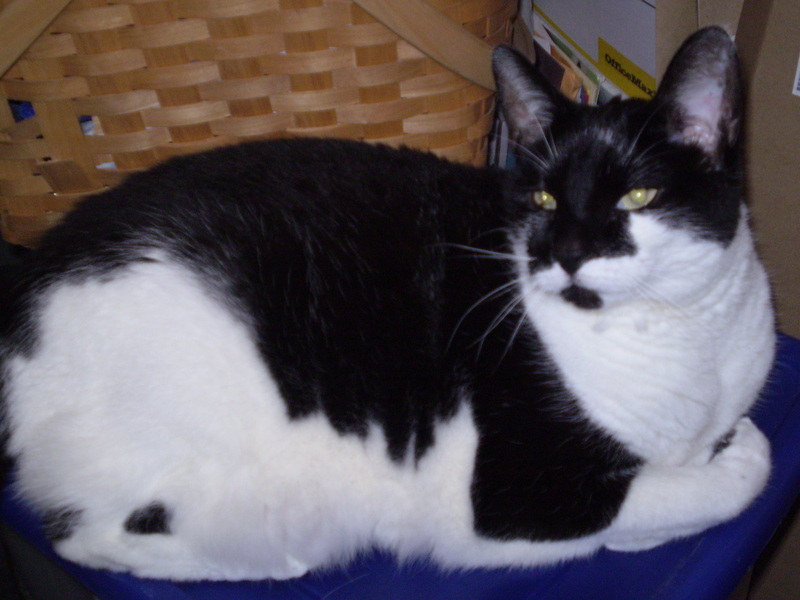 It is always difficult to lose a family member or loved one, we recently lost our beloved Baylee, who has been with me for 10 years and was my kitty angel. Special in many ways that no one could ever teach him. He saved my life several times by waking me up when my Blood Sugar would drop dangerously low. Living alone it was always a concern but he stepped up and did the job. He had not been ill, which makes the loss even more difficult for both of us, James only had the company and love of Baylee for just over a year when we moved 1000 miles west to be at our new home. James drove and Baylee and I rode along to the home he had for us where he has lived for many years. Baylee was a trooper, complained a bit, but didn’t get really scared. New home, life and lots of love from James and myself. He was happy with the life that we led. 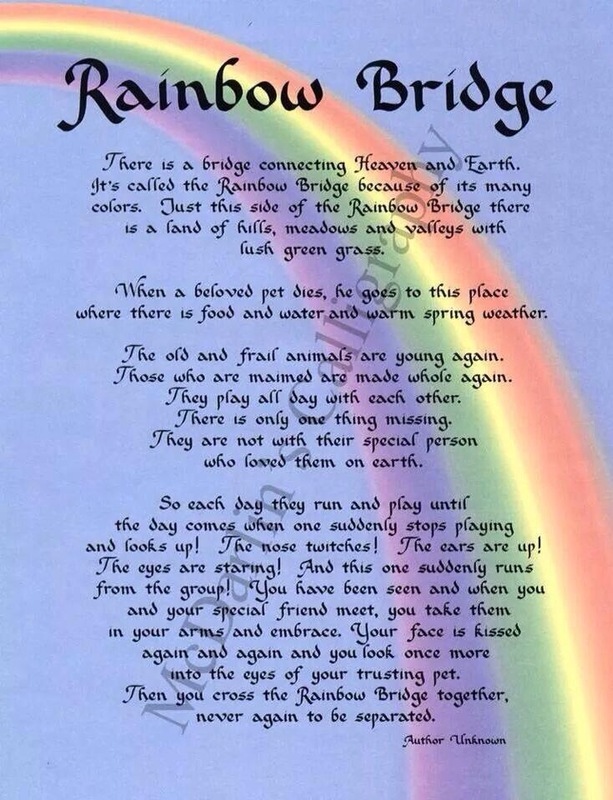 I have always loved the story of the Rainbow Bridge, James hadn’t ever seen it, but it means something and I want to share that with you. I know that all of my kitties who have gone over that bridge, and now Baylee, will be waiting for us to love us once again. My handsome boy was content, happy and loved by us both and we are grieving his loss more than either of us knew. The exhaustion will hit and then the tears start and it overwhelms me for a bit. Then I compose myself and think of some things that remind me of him. His paw seems to touch my leg under my desk as I am writing this, sort of a “it will be alright” sign from him. His spirit will forever live on and he will always be with us in our hearts as well as his ashes and paw print that we have from the loss. Please remember to love and cherish your family, friends and loved ones as you never know when they could suddenly be taken from you. Bless my silly Baylee Binks forever and ever. You said it all so very perfectly, Suellen. Thank you for summing it up this way for us.